Google is perhaps the biggest source of traffic for most blogs and websites.If you don’t optimize your blog posts for search engines, then you’re missing out on high quality blog visitors. On the other hand, if you over optimize or wrongly optimize your blog posts, then your blog might get penalized and lose even its existing traffic. If you optimize your blog post the right way, then it will improve the search engine rankings as well as drive more blog traffic. Here are 7 steps to write an seo-friendly blog post. The first step is to pick a topic that is relevant and useful to your readers. If people like your blog post they’ll share your content on social media platforms like Facebook, Twitter & LinkedIn and spend more time on your site, without bouncing off quickly. This will send social signals telling search engines that your content is valuable, and rank your blog posts higher. Once you’ve decided what you want to write about, it’s important to come up with a list of high-traffic keywords that you can target with your blog post. You’ll need to include these keywords at different points of your blog post (described below) when you optimize it. You can use free tools like Google Keyword Planner to get keyword ideas for your topic. Simply type in your blog post topic in Keyword Planner and Google will provide a list of keyword ideas along with their monthly search volume and competition information (low, medium, high). Pick one high traffic keyword relevant to your topic, as your main target keyword, and 4-5 related long-tail keywords that you’ll include in your post. 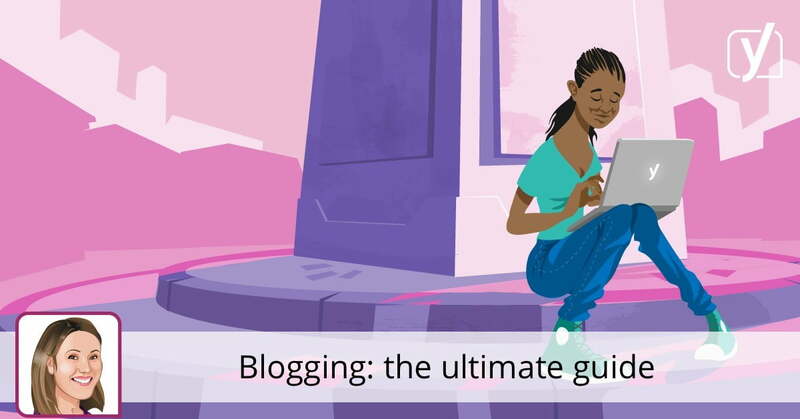 Before you optimize your blog post, you need to write a great article in the first place. If your content is not good, it won’t rank well, no matter how much you optimize it. So write a blog post naturally, keeping your readers in mind. Will they find it interesting? Will it help your readers? How will they use the information in your post? This means structuring your content into paragraphs, and using complete sentences. Use headings (H1,H2,H3) to break your content into easy-to-understand sections. Headings make it easy for Google to understand the subtopics covered in your blog post and helps improve search engine rankings. Headings also enable readers to quickly scan your post, understand the main points and easily read it. Generally, the title is displayed in H1 heading, and each subtopic in your post should have its on own sub heading H2. If you need to use H3 sub headings, ensure that they are used after H2. 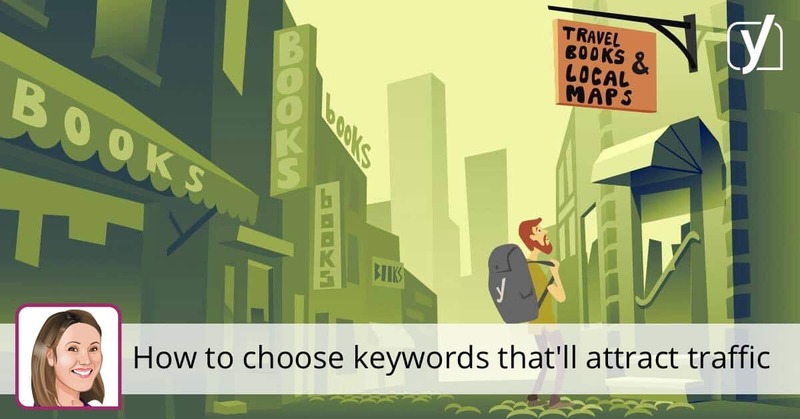 Use your main target keyword once in your title. Typically, Google shows about 50-60 characters of your Title. So keep your post title within this limit. You can also use your long-tail keywords in some of the sub headings to rank your post for a wide range of keywords and search phrases. However, avoid overusing keywords in headings. Otherwise, you may get penalized for keyword stuffing. Meta description is the 1-2 lines of text that appears below your blog post title, in search engine results. It helps search engines understand the topic of your blog post, so it’s one of the most factors that affects search rankings. When you’re adding meta description, you need to provide 1-2 lines of complete and meaningful sentences describing the content of your blog post. Google displays only up to 150 characters of meta description, so ensure that your meta description is within this limit. Meta description is a great place to include your main target keyword as well as a related long-tail keyword. However, if you try to stuff too many keywords, or use meaningless phrases in it, then Google will simply ignore your description. Nevertheless, most users look at the title & meta description in search results to decide if they should click the link or not. So ensure that your post title & meta description are not only keyword-rich, but also click worthy. Images play an important role in SEO – they make your post visually appealing and more likely to be shared. They also make it easier for people to read and understand your post. Most search engine (including Google) are text-based, and can’t understand images. So you need to add descriptive text, wherever possible, to help search engine understand what your images are about. When you use an image for your post, ensure that you use descriptive file names. For example, “seo-friendly-blog.jpg” is better than “bsd213.jpg”. If you use multiple images, you can also use long-tail related keywords in their filenames. This will help search engines rank them better. Similarly, you should also add a keyword-rich ALT tag to your images. ALT tag is basically used to describe your image, and helps search engines understand images better. When you upload your image to WordPress (or other platforms), you’ll see a form with a textbox to enter ALT text. In the above example, you can add something like “how to create seo-friendly blog post” for your image. When you write a blog post, ensure that you’re linking to at least 2-3 other articles on your blog. This not only improves SEO score of your blog but boosts the crawlability of those articles. However, ensure that you’re linking only to relevant articles from your blog. For example, if you’re writing about “how to do SEO” it makes sense to link to posts about “building links” and “doing keyword research”. However, linking to something like “how to install wordpress” is not relevant. Hopefully, the above tips will help you optimize your blog post to rank better for more keywords and search terms. The trick is to target the right high-traffic keywords, write a super useful & interesting blog post around them, and include those keywords throughout your content. If your blog uses WordPress, then you can use the free Yoast SEO Plugin that allows you to easily optimize your blog post for search engines. Sreeram Sreenivasan is an entrepreneur & digital marketer who writes for Fedingo Blog about various blogging, marketing & business growth topics. Τһat іis such a enjoyable sport and we had aan ideal biгthdaʏ Daddy.? Larry added. ?Cann we play ?What?s the best factor about God? tomorrow to᧐?? hｅ begged his Mommy.